Vitamin B12 is a water-soluble vitamin that your body needs for essential functions such as DNA synthesis, carbohydrate metabolism for energy, red blood cell production, and cellular and tissue repair. Your body uses what it needs of most water-soluble vitamins and excretes the rest in urine. B12, however, is different because your body can store it in the liver for up to five years. 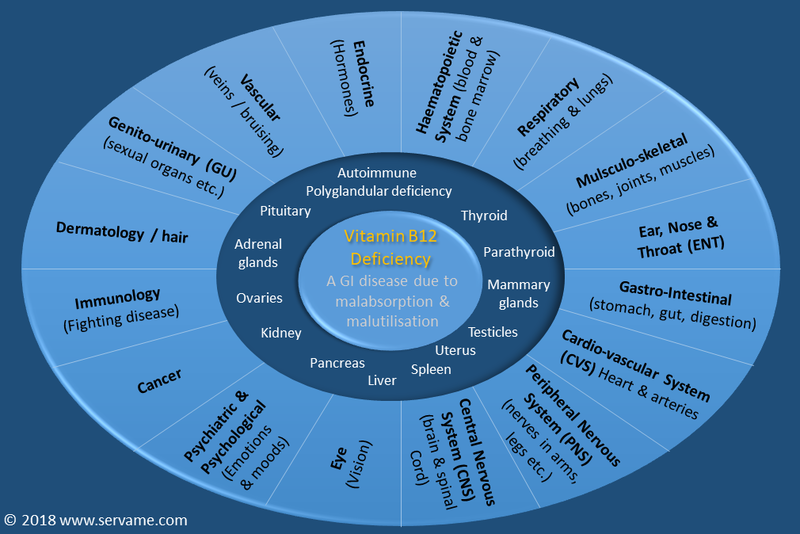 A B12 deficiency is rare in healthy people, but can occur in people who suffer from disorders such as coeliac disease and atrophic gastritis. What happens when you don't have enough? Psychological conditions such as dementia, paranoia, depression and behavioural changes can result from a vitamin B12 deficiency. Neurological damage sometimes cannot be reversed. This was potentially extremely harmful seeing as I already had extensive neurological and brain damage due to my autoimmune condition. When do I start supplementing? Many doctors won't advise supplementing until levels have reached below 300pm/mL (and some even lower than this); however symptoms of B12 anaemia can appear at anything below 500pm/mL. 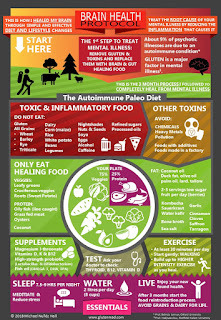 There is a strong correlation between Hashimoto’s and gut issues leading to B12 deficiency. Hashimoto’s is an autoimmune disorder that is caused by the bodies production of TPO and Tg antibodies and damage to the thyroid gland. Studies have shown around a third of people with Hashimoto’s also have atrophic gastritis (an autoimmune condition of the stomach). Atrophic gastritis is due to the production of anti gastric parietal cell antibodies damaging the acid-producing parietal cells in the stomach lining. These cells are also responsible for the production of intrinsic factor, a glycoprotein responsible for the absorption of vitamin B12. Therefore if a person has Hashimoto’s they have a one in three risk of developing a condition that leads to a reduced absorption of B12. I now take a daily dose of 1000µg sub-lingual methylcobalamin and my levels have returned to normal and with it all the symptoms have reversed.